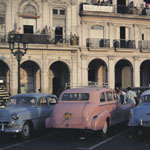 Many historical influences have contributed to the unique visual and cultural heritage of this Latin American republic. A semi-tropical country situated between the Caribbean and the Atlantic, this island has a history of strong Spanish ties. 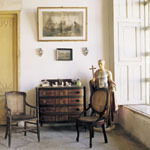 From the Spanish conquistadors of the fifteenth century to the influx of Spanish settlers who made the island their home, each has left a distinctive mark on the architecture and culture of Cuba.Living in Cuba is a visual record of the island's architectural and interior legacy capturing the brilliant mix of styles from early colonial to baroque and art nouveau to art deco. 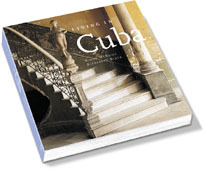 This book is the ultimate guide to Cuban architecture and design, proving an inspiration to all those who love the unique style of this captivating island.